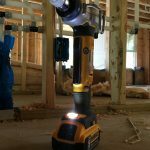 We recently took the Heavy Duty Dewalt Walkie-Talkie to one of our crew members commercial job site to see how they worked. The site is the home of the Boston Pipefitters Local 537 Training facility and is a 5-story steel and concrete building on a 70,000 sq. ft. site. In years past 2-way radios, and Nextels were popular, and now it seems that everyone has a smart cellphone, so group texts and calls seem to be the norm. I think we can all agree that failure to communicate properly could result in jobsite accidents and project rework. Effective peer to peer communication is critical for collaborative work. We then signed out 8 radios to specific team members and asked them to start using the radios. It was clear to us that these radios were easy to use and intuitive. All of the team members assigned a radio turned them on, and started using them immediately. Day 1, channel 1; we turned these radios on, and hit the ground running. We used these radios for 2 weeks and were surprised at how well they worked. Our testing showed that these radios worked flawlessly up to 4/10s of a mile. [The exact distance to our local off site coffee shop] That distance includes additional buildings as obstacles and bending around corners. Additionally, we tested these radios inside a mechanical room, full of pumps, machines and lots of concrete and steel. This room is on the 5th floor of the building and we were able to speak flawlessly to all four-corners of the job-site. All of the team members agreed that the audio quality is very good to excellent. The true test would be the audio quality in the field. This rating was judged by the fact that all communications were loud, clear and easily understood. No need for repeating messages due to distortion or chatter. 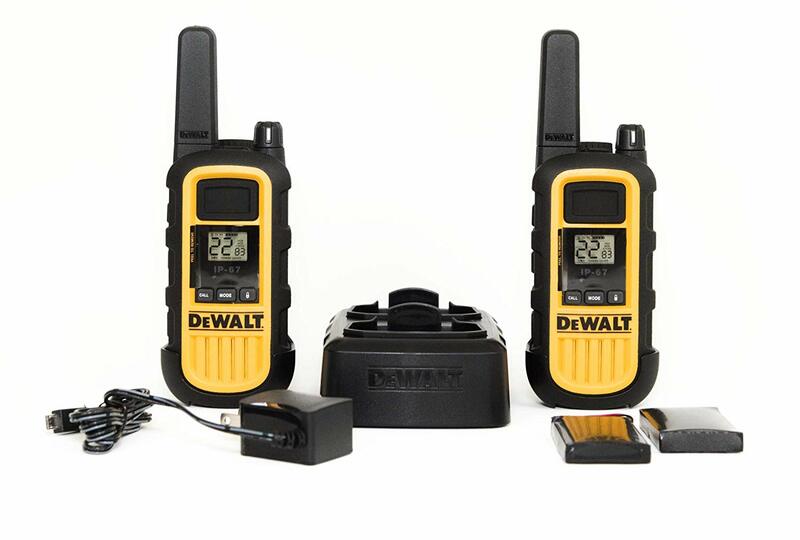 The Dewalt yellow make these radios easy to see and the small size and light weight [0.48lb] made it comfortable to carry in the team’s vest or on their belt. There is sufficient rubber over-mold for a slip resistant grip. The team liked all of the radio features, especially its large on and off knob, and push to talk [PTT] button. I will note that the team did comment that the PTT button location [front face of the radio] took a bit to get used too. Many of the radios they’ve used in the past had PTT buttons on the side of the unit. One feature that was not immediately clear to the team [no one reads the directions] was that the charging dock can be modified to accept the radios with the belt clip attached. I’ll also note that the radios have a USB port for an alternative charging option. 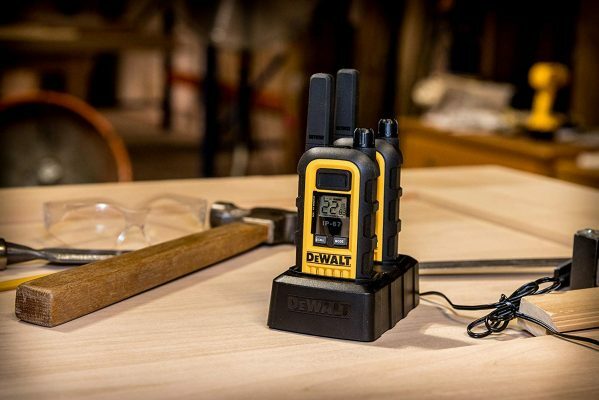 One function on the Dewalt Walkie-Talkie is the ability to select a vibrate function. This makes the radio vibrate when someone else speaks. The team felt that this was a nice feature when they had the radios in their pockets or on their belt in loud environments. Construction wise these radios seem well-built with rubber gaskets and a rubber covered PTT button. Rated at IP67 means that this radio is able to work in dust, dirt, rain and survive drops. In fact, this rating means that the radio is capable of a 2 meter drop and can withstand water immersion between 15 cm and 1 meter for 30 minutes. The radios have a 22-channel range; the channels are preset with privacy codes to minimize unwanted interference from others. We did not experience any other interference in our testing. We used channel 1 for all business and the team use channel 6 for the jokes and non-business stuff. We tested two different radios models and the only difference between them were size and watts. The slightly larger radios were 2 watts and smaller ones 1 watt,. For runtime we simply paid attention to the need to charge. All of the radios operated for 10 hour days without the need for charging or topping off the battery. Dewalt claims that the radios have an 18-hour runtime based on 90% Standby / 5% Talk / 5% Listen usage. 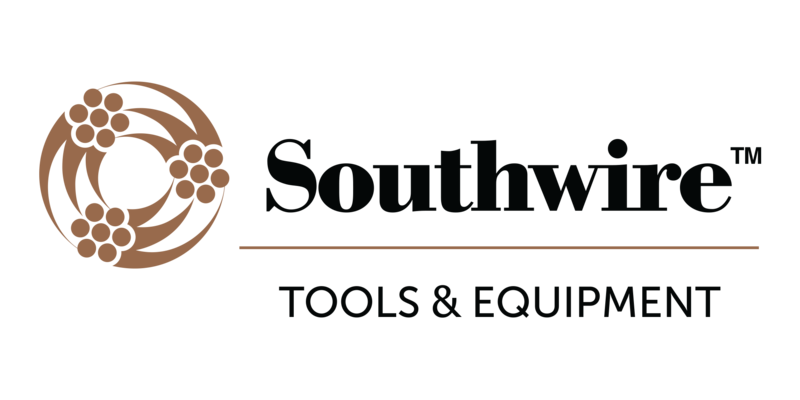 We were pleased with the radios volume and were able to use them effectively around earth moving equipment like excavators and even around chipping hammers. We’d offer to Dewalt that they should reconfigure the robustness of the belt clip. There is a small plastic tap at the top that indexes into the radio body. We felt that repeated removing and attaching over time will weaken this tab causing failure. The entire team labeled this plastic tab as a weak point. UHF/FM: Ultra-clear long distance reception (range will vary depending on terrain and conditions). Roger Beep Tone: Confirmation tone indicates the completion of the user’s transmission, and signals others it is clear to talk. Key Lock: When activated, provides keypad security eliminating accidental channel changes. Power Saver: A unique circuit extends the life of your batteries. If there are no transmissions within 10 seconds, the unit will automatically switch to battery save mode. 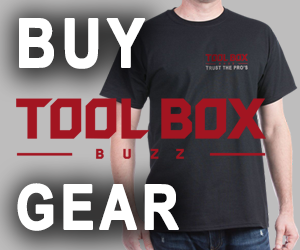 Auto Squelch: Automatically shuts off weak transmissions or unwanted noise due to terrain or range constraints. LCD Display: Easy to view display provides the radio’s status at a glance. Speaker/Microphone/Jack: Allows use of wall charger, or earphone speaker/microphones (not included) for ‘hands-free’ operation. Runtime hours based on (90% Standby / 5% Talk / 5% Listen). 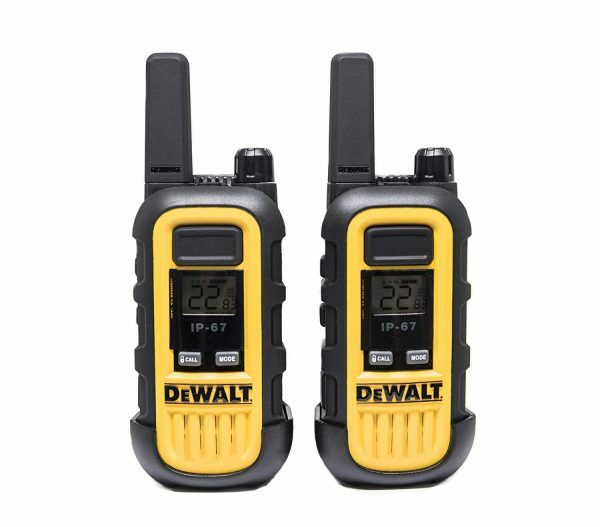 These Dewalt radios are a phenomenal value. I’d easily pay $200 for a pair, every day of the week. We noticed improved peer to peer communications improved on our team, while using them. We especially appreciated these radios when we performed multiple group testing / tasks on the site. 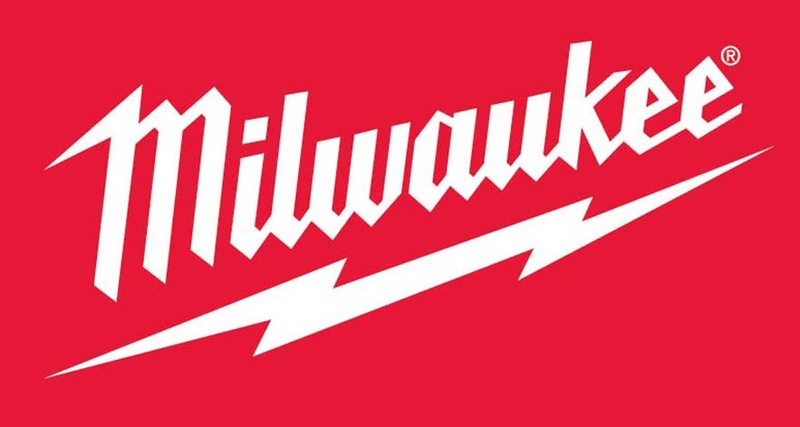 On our recent “lights out” test, where we cut the building power to test the emergency lighting, the radios were way easier to use than cell phones. Tests like these are done easier, clearer and faster than with smart phone or cell phone communications. We’ll be using these radios in a few weeks when the “commissioning” of the building happens. 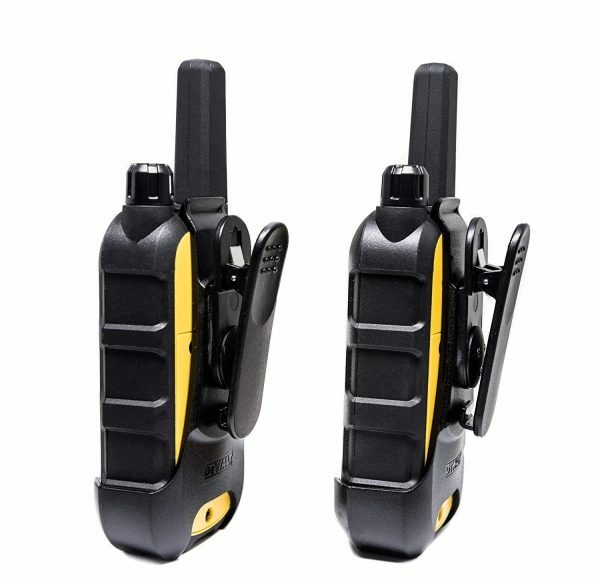 I can see these radios having a permanent home with our team, as well as useful in all types of business and tasks. Well done Dewalt. Not sure, this is NOT our product. 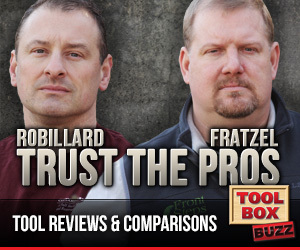 We did a product review on the unit, but did not have a headphone set to test. Sorry, with I could be more helpful on this one. Hi do these have a spot where they could be attached with a safety lanyard? Some place to clip on?